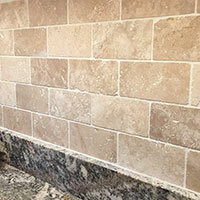 Add a decorative style to interiors with these Travertine mosaics. 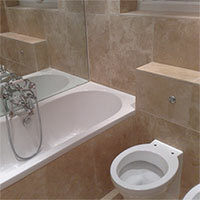 Featuring cream, beige and yellow shades they provide a stylish appearance which can transform the look of bathroom shower areas. As a stylish border, these mosaics produces a unique design. They have a rustic style and a Romanesque character. 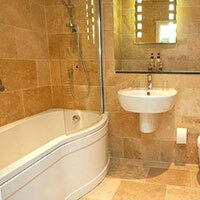 They are ideal for bath surrounds and can even be used as part of a kitchen splashback decor. 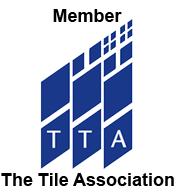 They are available in 30cmx30cm sheets and two different sized squares. 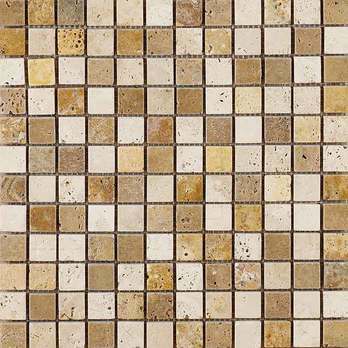 If you wish to acquire Travertine mosaics from Tilesporcelain please get in touch today and order a sample for a closer look. 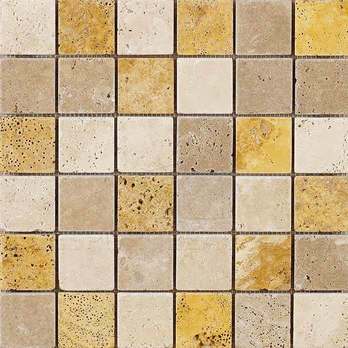 Noce Yellow Travertine Mosaics are a suitable option for both walls and floors. 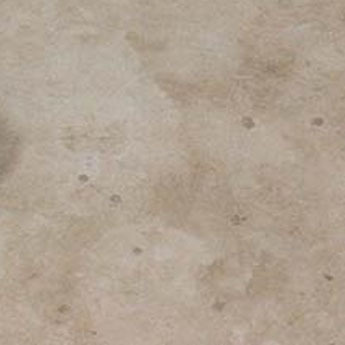 As a wall covering they provide a stylish appearance as part of an overall feature or border. 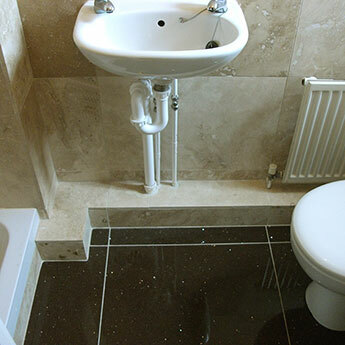 On floors they supply a high level of slip resistance which makes them ideal for bathrooms, en suites and wet rooms.